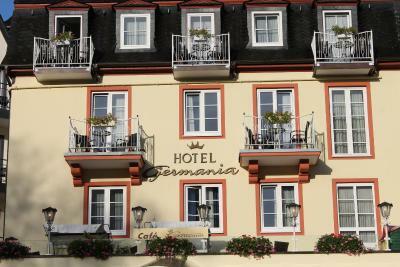 Lock in a great price for Hotel Germania – rated 8.6 by recent guests! Good breakfast included in the price. They recommended a nice wine tasting bar just down the street. Lovely town. 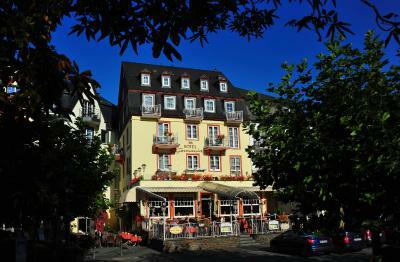 I would recommend both the hotel and visiting Cochem. 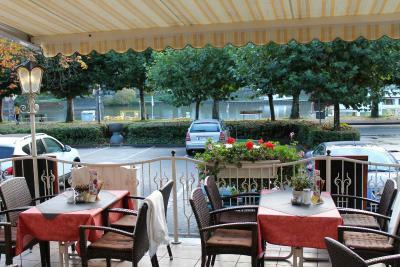 Convenient parking through out Cochem including municipal lots and garages. We were lucky to "score" parking spaces twice during our stay in the lot directly in front of the hotel. 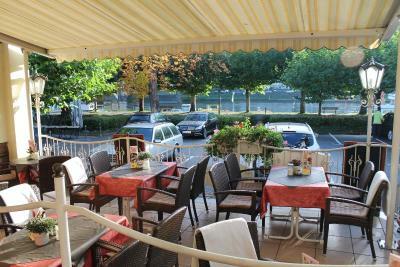 Parking is free from 19:00-08:00 otherwise 1 euro per hour maximum two hours. A garage is close distance away with reasonable rates. 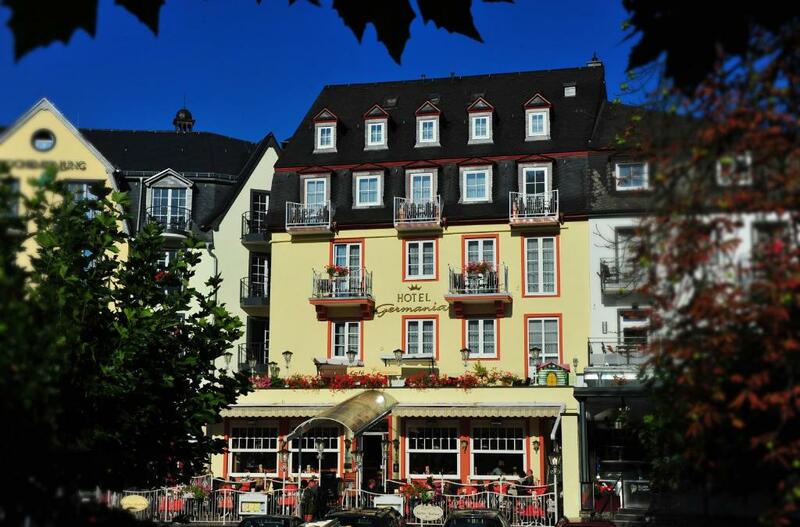 We arrived luckily during the late August wine festival and had a marvelous experience steps from Hotel Germania. Breakfast buffet was extensive and excellent. The staff was super friendly and helpful. The breakfast was amazing and delicious. Good spread of different things to eat. The room was nice, the elevator was amazing after a long day of walking. Lol. Close to shopping, food, train and the castle. Would definitely recommend it and book again when I come back. 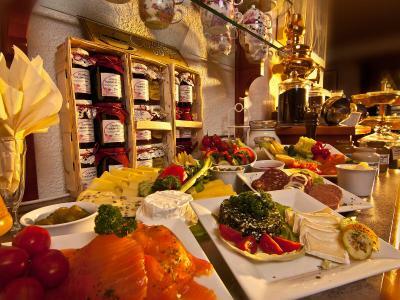 A good buffet breakfast breakfast with boiled eggs or scrambled, and bacon, sausage both hot dog or patty form, yogurt - two styles, fruits, nuts, and other cereals, breads and brotchens and a can of coffee included. Great choice of many types of cake, ice cream, and other food, open to the public from 8:00pm to 6:00pm, with open seating on outside sunny patio. 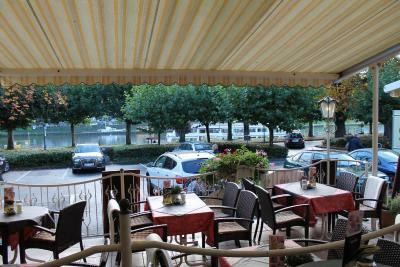 I was in an upper story room with view of Moselle River. The breakfast was very good. 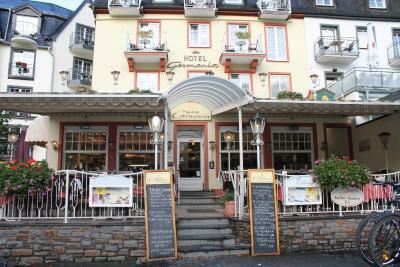 The staff was helpful and the hotel is in the heart of Cochem. 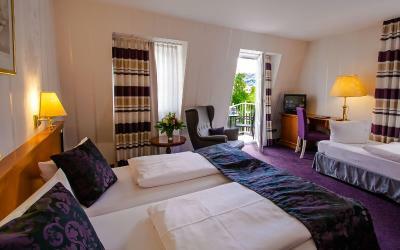 Our room was on the 4th floor via an elevator and had lovely view of the Mosel River. Temperature easily acontrolled and street noise minimal at night. Staff in breakfast room was friendly and helpful. 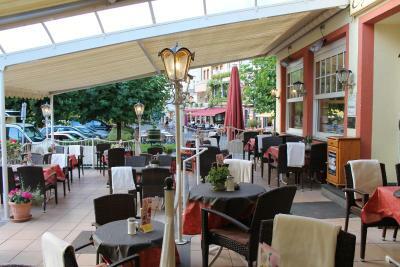 He recommended a lovely Italian restaurant for us as by our 10th day in Germany we needed a change of diet. 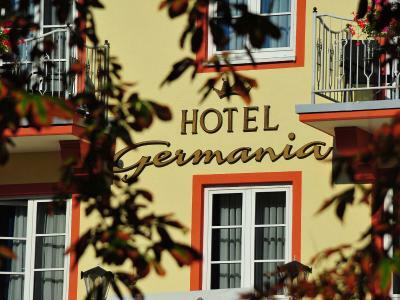 We had always wanted to stay at Hotel Germania. This trip to Germany made it possible. A very cozy room and lovely atmosphere! Our room faced the river and a wonderful view of the castle. Breakfast was great! Hotel held our luggage so we could explore the city! We think you would like it too! Very clean, great room. The nicest one we stayed in on our whole trip. 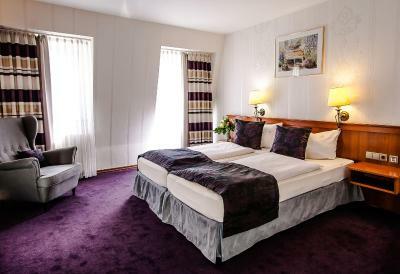 Hotel Germania This rating is a reflection of how the property compares to the industry standard when it comes to price, facilities and services available. It's based on a self-evaluation by the property. Use this rating to help choose your stay! 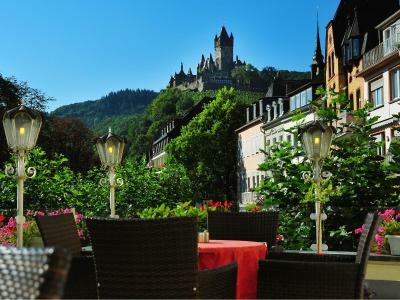 One of our top picks in Cochem.Hotel Germania in Cochem offers free Wi-Fi, a traditional cafe and a daily breakfast buffet. 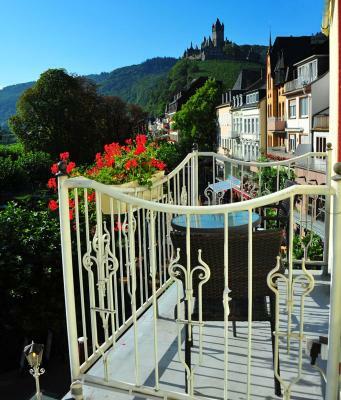 It lies on the banks of the Moselle River, just 2,000 feet from Cochem Train Station. 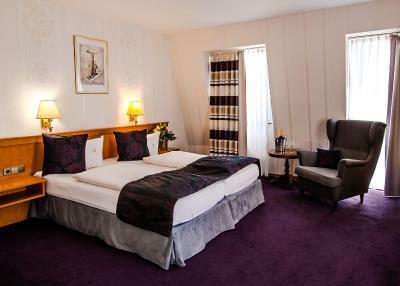 Set within a historic, 18th-century building, the Hotel Germania’s rooms have a private bathroom, modern furniture and a TV. 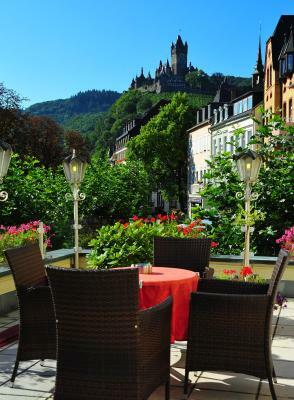 The Café Germania features a large terrace overlooking the Moselle River. 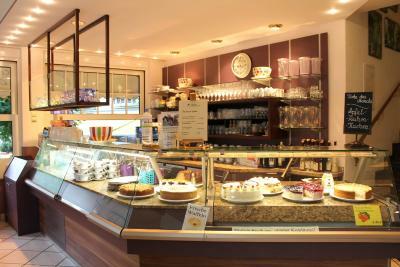 Homemade cake, pastries and coffee specialties are served here throughout the day. 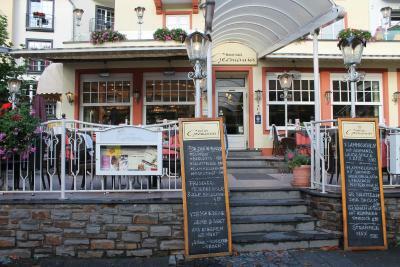 Guests can try the Hotel Germania’s own brand of wine in the on-site wine tavern. 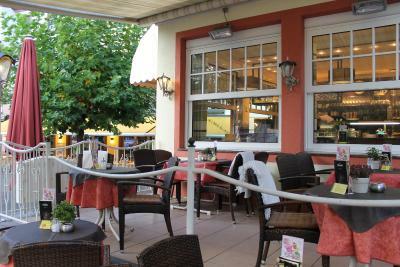 The Germania also organizes regular wine tasting sessions at their vineyard in nearby Ernst. 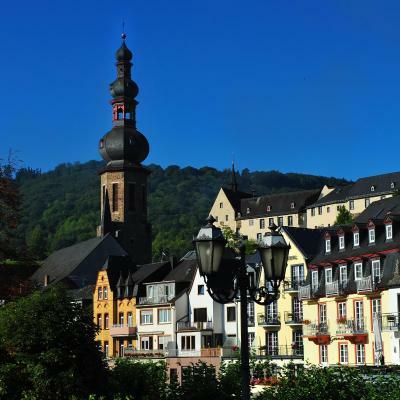 Cochem Golf Club is just 3.3 miles from the Hotel Germania. This double room has a mini-bar and seating area. It is an attic room with a sloped ceiling. Please be advised that check-ins after 18:00 are only possible upon request. 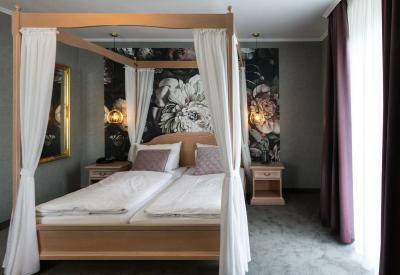 Please inform Hotel Germania of your expected arrival time in advance. You can use the Special Requests box when booking, or contact the property directly using the contact details in your confirmation. This is not a negative but be aware that reception closes at 1800 (6pm). If late ring ahead and organise a key to be left out for you. Parking out front is free overnight from 1800 to 0800. 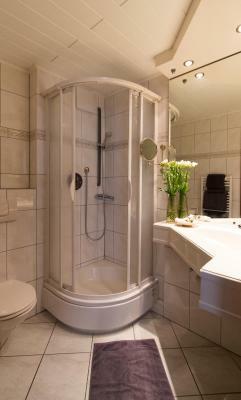 The bathroom was a bit tight as it is in many hotels in Europe. Note train station is at edge of town about a 15 minute walk away. Very well located in town centre overlooking waterfront. Hotel has a café attached and it buzzes (we were there in April). Room was a good size and bed was comfortable. The mattresses were old and utterly uncomfortable. Shower cabin door was broken. 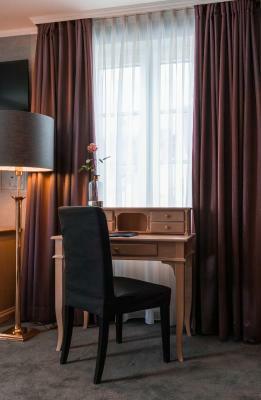 Really nice staff, sparkling clean room, amazing location and view. During our stay the Hotel was actually closed for a few days for renovations prior to the start of the Season. We were the only guests. However the Owner could not have been more helpful. 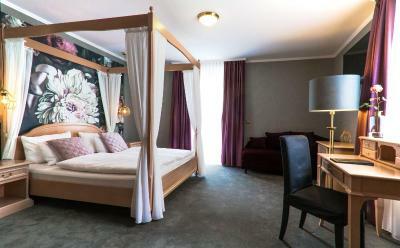 Upgraded to a larger room and a personal breakfast in the morning which was one of the best we have ever had in Germany. Our stay could have been cancelled but instead we had first class service. Also no inconvenience from the renovations. Excellent customer service. Reception and café/bar closing at 1800 hrs. The room was somewhat outdated, bathroom could have been cleaner. 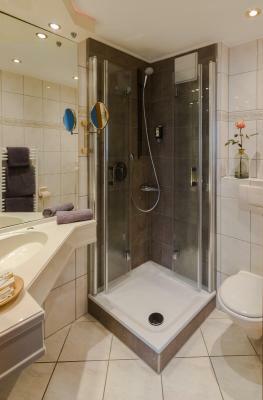 Ventilation in the bathroom would also help. 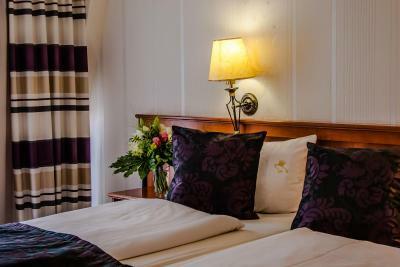 The bed was excellent, staff is very helpful and friendly. 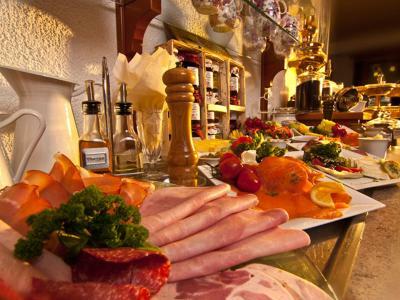 They serve an extensive breakfast buffet, if you need anything else the staff is glad to help. The hotel is at the very center of the town, all shops and restaurants are within 10 minute walking distance. We arrived late (the reception closes at 18:00), if you inform the owner before your arrival they leave a key in a safebox with clear instructions so you can enter the hotel. Comfortable beds. Decent shower. Staff let us keep our bags in the room until 2.30pm. Very friendly staff. 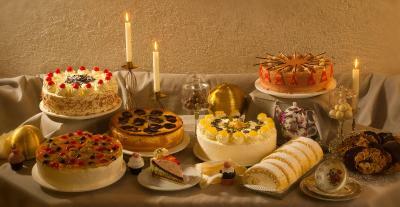 Yummy cakes at the cafe. Serve flat (still) water at breakfast. Not just fizzy (with gas) water. This was difficult all over Germany. Fabulous hotel. 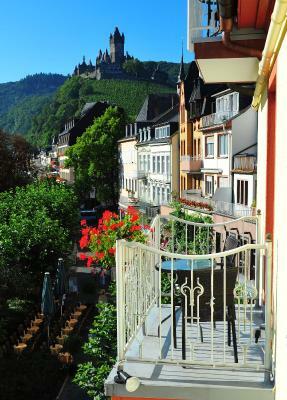 We had a balcony with a view over the Mosel. Breakfast, especially on the weekend, was amazing. Very comfortable and good sized room. Brilliant location right in the centre of the action. No problem with noise. Staff very pleasant and helpful. Easy walk to the train station as well as the CroisiEurope dock. Great breakfast. Noisy from traffic and next door bar at night. Friendly and helpful reception. Good parking in garage. Location. The hotel very nice positioned easy to reach everything around. Very friendly and nice staff offer to us everything what we ask flexible and open. Was a good choice to book this hotel. I have pleasure to recommend to everyone.